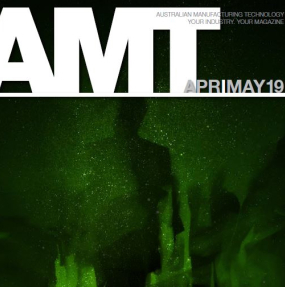 An article written by Grant Shoebridge, Principal at Shelston IP, has recently been published in AMT (Australian Manufacturing Technology) magazine. The article emphasises the importance of retaining and revising, rather than abolishing, Australia’s Innovation Patent System. Innovators currently have two options for protecting inventions in Australia – the standard patent system and the innovation patent system. The innovation patent is Australia’s second-tier patent system and requires that inventions have an innovative step, which is a lower threshold than an inventive step that applies to standard patents. Also, the term of protection for an innovation patent is 8 years rather than 20 years under standard patent protection. The innovation patent system was introduced in 2001 with the aim of incentivising innovation by Australian small and medium-sized enterprises (SMEs) by offering a rapid and affordable system designed for the protection of, for example, incremental innovation, that is unlikely to satisfy the patentability threshold set for standard patents. Significantly, and consistently over the years, Australian SMEs have been the predominant users of the innovation patent system. In 2019, the Australian Government plans to abolish the innovation patent system. This controversial measure came about as a result of a Productivity Commission recommendation, which the Government swiftly supported in August 2017. The proposed abolition of the innovation patent system appears to be exclusively based on equivocal economic analysis of innovation patent use. Moreover, the Productivity Commission seemingly ignored submissions from several industry groups, including the Australia Chamber of Commerce and Industry, the Business Council of Australia, and the Institute of Patent and Trade Mark Attorneys of Australia (IPTA), which expressed a common concern that the demise of innovation patents would be detrimental to Australian SME-based innovation. For past year, IPTA has been liaising with many Australian businesses and the consistent message from this work is that the innovation patent system represents an important tool for: protecting commercially significant inventions; attracting investment funds; and ensuring inventions come to market for the benefit of the Australian public. The concerns of just a few Australian business owners regarding the proposed abolition of the innovation patent system are presented in a video that can be accessed at the following link. Australian SME-based employment will fall. For the above reasons, the Government must reconsider its decision to abolish the innovation patent. the term “patent” be applied only to cases that have been examined and deemed to satisfy the relevant patentability requirements. In relation to point 1, IPTA’s position is that the innovative step threshold should be raised, but to a level that is lower than that of the inventive step threshold. The reasoning behind this is that many businesses, particularly in manufacturing, rely on protecting incremental, but commercially significant, innovations. As such, IPTA believes that a system that provides rapid and affordable protection for incremental innovation, that may not meet the current inventive step threshold, is a necessity. In support of this approach, and emerging from IPTA’s discussions with Australian business owners, it is clear that developing and commercialising inventions that are likely to satisfy an inventive step threshold requires significantly greater time and expense than protecting incremental innovations. Moreover, unprotected incremental innovations are susceptible to copying by competitors, which two of the business owners featured in the IPTA innovation patent video, referred to above, experienced and were only able to resolve because of innovation patent protection. It is for this reason that IPTA is strongly opposed to the Government’s proposal to simply abolish the innovation patent system. For several months during 2018, IPTA actively coordinated discussions between IP Australia, Government Ministers, the relevant Opposition Shadow Minister’s office, Cross-bench Senators and innovators from Australian SMEs in a bid to save the innovation patent system. This work resulted in a decision by the Government and IP Australia to undertake further consultation targeted at better understanding the needs of Australian SMEs. This, however, has not altered the Government’s decision to abolish the innovation patent system. Accordingly, IPTA urges businesses that believe they will be negatively impacted by the loss of the innovation patent system to make their concerns known to the Government. Grant Shoebridge, PhD, is a Principal at Shelston IP and a Fellow and council member of the Institute of Patent and Trade Mark Attorneys of Australia, where he is the convenor of the Public Relations Committee. Grant has led IPTA’s lobbying strategy to save the innovation patent system. This article was written and first published in AMT (Australian Manufacturing Technology) Magazine in their April/May 2019 issue.